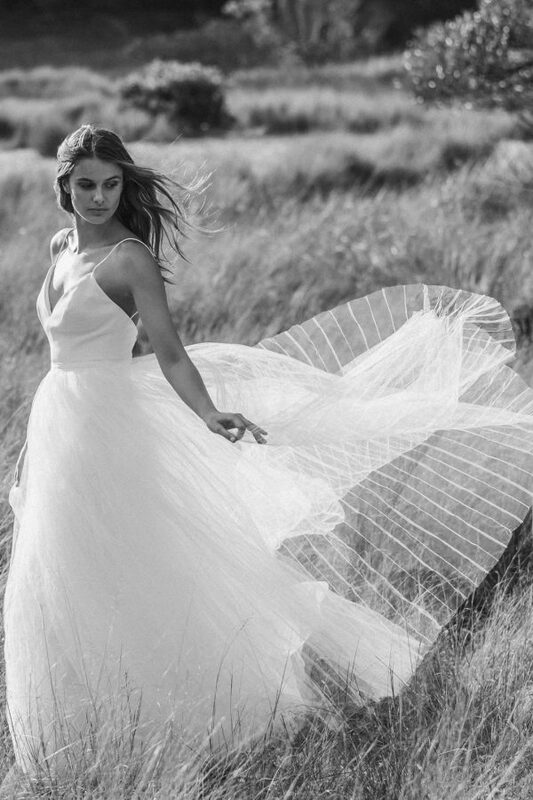 “Love Somebody” by Sarah Joseph Couture is a boho lovers dream! The entire gown is crafted from a stunning contemporary embroidered lace. This bare foot bride wedding dress has a sweetheart neckline with elegant fine straps and detachable embroidered hand embellished sleeves. The body of this wedding dress is corseted with boning and has in-built bra cups. This wedding dress is fastened with illusion buttons on the body and a zip throughout and will be the envy of all of your guests. Love Somebody has a long train edged with an embroidered flower trimming. The under fabric is an incredible stretch material which wraps around the body leaving you looking & feeling Amazing!! The price is $3,390 for Ivory & $3,817 for Coffee. As seen here in the coffee, samples instore are coffee & ivory.